Johnson Family responds quickly and efficiently when you need help right away or information ahead of time. We will meet with you in our office, your home or elsewhere to accommodate you. Our staff will walk you through all the logistics of planning, supervision and notification. Meticulous attention to detail, providing choices and uncommon thoughtfulness have shaped our mission over several years. As our population has grown, we frequently assist in the transfer of a deceased family member to their former community. 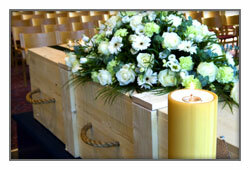 We attend to all the local concerns, such as obtaining death certificates and placement of obituaries. We make the necessary flight arrangements when transfer is by air, coordinating details with the receiving funeral director. Johnson Family also has considerable experience in overseas transfer, working closely with embassies to facilitate timely and seamless handling. To accommodate the tastes and budgets of every family, Johnson Family offers a broad selection of caskets, burial vaults, urns, ceremonial (rental) caskets and other memorial products in the merchandise gallery of each of our locations. Gaskets are made in a wide variety of styles and materials. They are made of wood or metal. Johnson Family maintains a wide selection of wood caskets of many species. Metal caskets vary in price and quality depending on the thickness (gauge) or composition, such as stainless steel or semi-precious metals such as copper. Most cemeteries require caskets be placed in an outer burial receptacle capable of withstanding the weight of the earth above and surrounding the receptacle. Our Merchandise Galleries provides samples of outer burial containers for each family to make a selection. A body must be placed in a rigid, leak-proof container for the dignity of the deceased and protection of our crematory personnel. The container is consumed during cremation. Many are decorative as people will often have some element of ceremony with the deceased present. Containers range from hardwood to more simple composite wood. 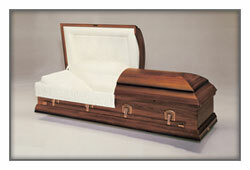 Johnson Family also offers ceremonial (rental) caskets for the funeral when held prior to cremation. 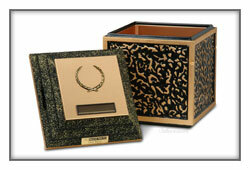 Memorial Urns are permanent containers for the cremated body. We offer a range of styles and prices appropriate for burial, niches, scattering, keepsakes or placement at home. Your plans for the final placement of the urn will guide you in selection. 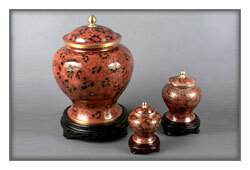 Some urns are ornately designed for display purposes while others are more basic in style. Many of the urns can also be engraved. Urn Vaults are protective containers in which urns are commonly placed. 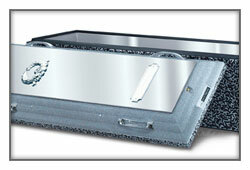 Some cemeteries will require the use of an urn vault. Much like burial vaults for caskets, urn vaults protect the urn from being crushed and prevent the ground above from caving in over time. 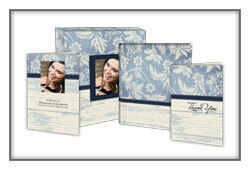 A variety of Memorial Registry Books, Service Folders and Acknowledgment Cards are available that can be fully customized. Johnson Family responds to the ethnic diversity of our community with the ability to meet special religious and cultural needs. We have experience serving African American, Asian, Buddhist, Eastern Orthodox, Hindu,Hispanic, lslamic and Jewish families. You can expect openness and hospitality from our staff to maximize the comfort of your family and guests in keeping with accepted practices. Some religious guidelines dictate services take place as soon as possible starting with a purification ceremony or watching over the deceased in vigil. For other groups, it is customary to wait longer. Many families mourn wearing black while in others the preferred color is white. Some funeral traditions end with the family assisting in the act of burial or being present to witness the start of cremation. Whether your family wishes to observe longstanding traditions, create new rituals or blend both together, we can help. 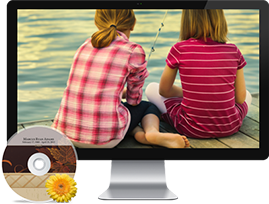 Treasured family photographs can be blended with beautiful graphic images and music to create a moving cinematic video. 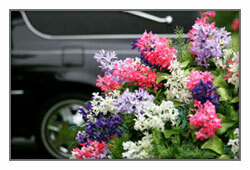 It becomes an integral part of any funeral or memorial gathering and a valued keepsake. We can also make copies as gifts for family and friends. Additionally, a tribute video can be posted to Johnson Family website for viewing. 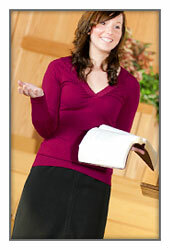 Bookmarks, service programs, prayer cards, and memorial folders can all include a favorite photo, poem or prose. Our staff takes the time to help you design these special touches reflecting one's uniqueness. For those seeking a ceremonial leader from either a religious or non-religious background, Johnson Family can draw from local sources to secure an officiant for a funeral or memorial ceremony, and we will work carefully with you to coordinate appropriate music, eulogies and other elements to design a meaningful and relevant ceremony. The Johnson Family staff acts with particular care and sensitivity in the rare instances when we must help those who experience the death of a child. Our experience is most parents are not prepared for the expense of a funeral. For this reason, we substantially reduce our charges, while we hope, doing all we can to lighten the burden that already exists.